This was the first time I’d been to shoot some London engagement photography, and we had a thoroughly great day. 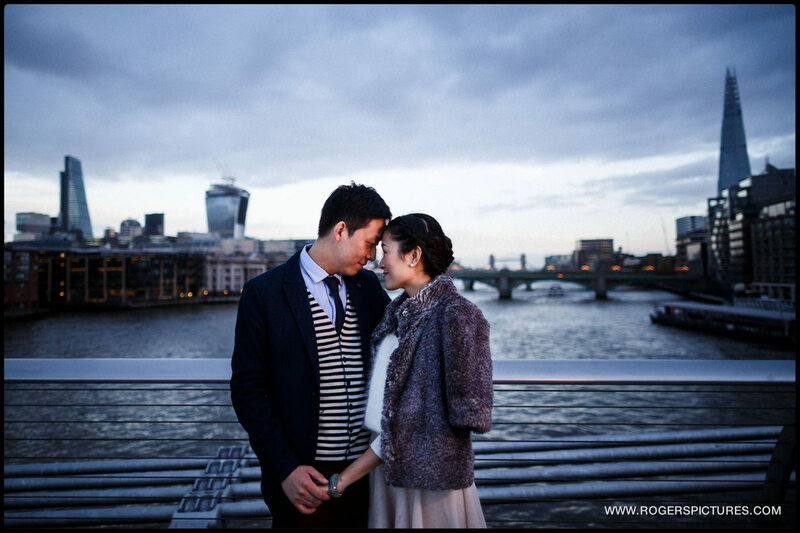 Jingwen and Dennis were visiting London over New Year, and with their wedding planned for later this year in Shanghai, they wanted some beautiful, professionally shot portraits to remember their trip to London. Dennis had lived in the UK and spend some time at LSE in London, but this was Jingwen’s first visit. The few days before this photoshoot were incredibly wet and windy, so we had a contingency plan if needed. But in the end we had a beautiful sunny winters day in London, and managed to take in a lot of the city’s highlights. We visited the riverside around Tower Bridge, the Millennium Bridge with St Paul’s Cathedral as the backdrop and Trafalgar Square. Dennis was keen to get some portraits around LSE, so we hopped on the bus before heading over to Parliament Square for some of the more obvious tourist backgrounds, including the Houses of Parliament, traditional red phone boxes and of course the London Eye. 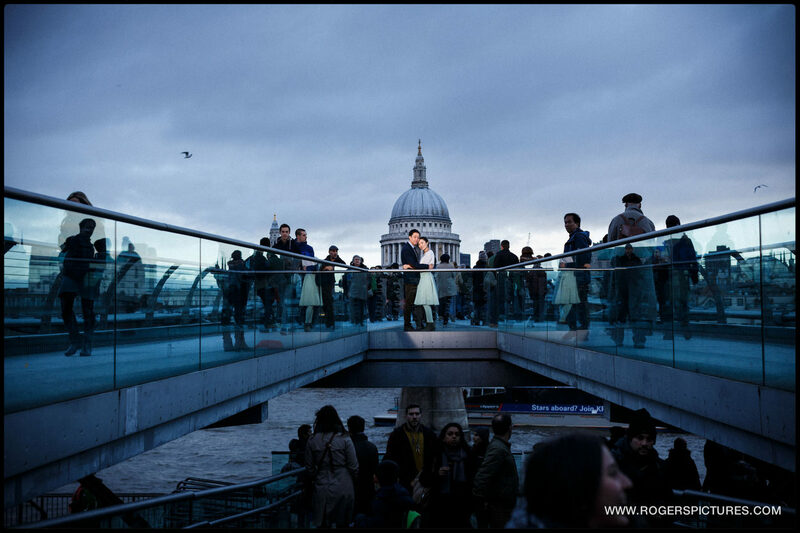 Need To Book Some London Engagement Photography? If you’re traveling to London and would like to commission me to photograph your stay, please get in touch to check my availability. Here is some of my recent Documentary Wedding Photography. Special thanks to Amanda White who did the hair and make-up, and Fiona Chatland who assisted me with the lighting.